Have you ever wanted a lot of food for a decent price? Have you ever wanted a meal that fills you up to the brim with not only satisfying food but also a tasty one at that? And while you’re doing all that, you get to drink some tasty soups? That’s what steamboats are for, silly! And what better steamboats are there than world renowned steamboat restaurant Hai Di Lao! Hai Di Lao Hot Pot is a very famous Steamboat/Hot Pot restaurant that was first founded in 1994 and since then has expanded all over and blown up to 300 restaurants worldwide! And when you take a look at their food, it’s easy to tell why! As of now, we Malaysians don’t get to enjoy such delicious treats BUT we could head over to our brother’s across the waters and get some delicious Hai Di Lao if we really wanted to. Which is just a temporary fix for the time being. That’s right! Hai Di Lao is officially launching a branch right here in Malaysia! And in none other than Sunway! Which is really accessible by the LRT stations and well connected to the BRT system! 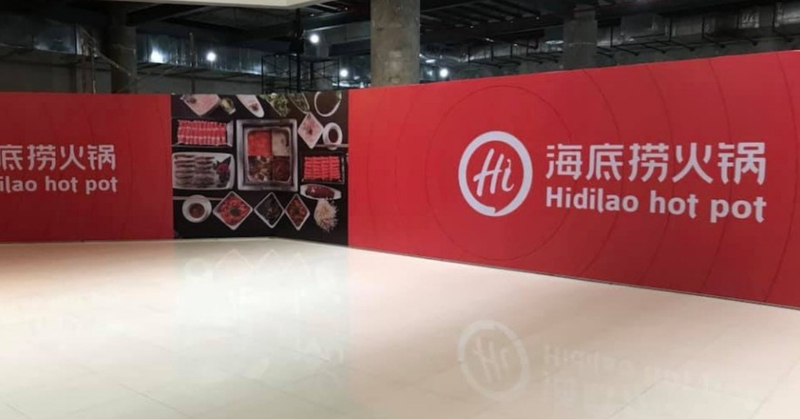 While there is no official opening date that has been announced yet, what we do know so far is that the food is going to be delicious and that it will be located at the ground floor of Sunway Pyramid Hotel. If that’s not enough reason to be excited about Hai Di Lao and it’s first branch in Malaysia EVER, Hai Di Lao is also famous for offering free snacks, drinks games and even manicures for guests who are waiting on their table! I for one, cannot wait for them to be open for business! Remember to make your booking in advance though, I’m sure there’s going to be a long long list of bookings!